History of Pico Canyon Oil Production. Originally published as Mining Camps of the Soledad, Part III. Webmaster's note: A.B. 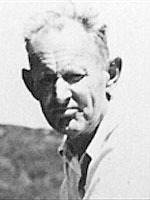 Perkins (1891-1977), the Santa Clarita Valley's first known historian, wrote a lengthy history of the Santa Clarita Valley that was published in three parts in 1958 by the Historical Society of Southern California. The portion that appears on this web page is the second half of Part III. The first half of Part III deals with the early history of Newhall and appears on a separate web page. Just one photograph was used to illustrate the "Pico" half of Part III: the Pioneer Oil Refinery on Pine Street after it was no longer in use. We've included a similar image (the only known photo of the refinery while it was still in operation), and for ease of reading online, we've added a few more images that Perkins personally collected, or which correspond directly to material covered in this story. Perkins' own footnotes are presented here as numerals (e.g., ). The webmaster's footnotes, offered in hopes of adding context for the modern reader, appear as letters (e.g., [a]). Driving out the old San Fernando Road and turning west at Tenth Street[a] in the middle of Newhall, three blocks only will bring you to Newhall Avenue. There the street name will change to Lyons Avenue, but pay no attention, keep going till you pass Highway 99, then you will be on the Pico Road. Why the name changes? The county road department is very unhappy as long as a road name means something, like honoring a local pioneer. Actually, all the way you have been following the old stage road to Pico (although it was christened Mentryville) which had been known as the Pico Road since 1884. California Star Oil Company's Well No. 4, California's first successful commercial oil well, on [sic] production since September 1876, dedicated and properly plaqued as such but today slightly incongruous with its modern pump, daily producing its mite of oil, is a little further up the road. Back of No. 4 rises "Christian Hill," the name reminding the observer of that great oil pioneer, Lyman Stewart, who, after five failures on his Pico Canyon lease, finally brought in the well whose sale to the Pacific Coast Oil Company financed the Hardison and Stewart move to Santa Paula and the forming of the Union Oil Company of California, when Hardison and Stewart jointed their interests with those of Thomas R. Bard. However, the Union Oil Company is more properly a Santa Paula story. You are looking at the "home" field of the Pacific Coast Oil Company, and that was the start of the Standard Oil Company of California. Let's back track and start at the beginning. No one ever "discovered" California oil. The Indians knew and used oil seepages of the Pico hills, west of Newhall, as well as those of the Sulphur Mountain, near Ojai. The Carpinteria ocean oil seeps had been noted by the earliest Spanish explorers of the California coast. California's first settlers used the seeps for water-proofing basketry, caulking Indian boats of the Santa Barbara channel, as an adherent for setting arrow or spear points, joining the stone bases and side wall basketry of the basket mortars, or as a base for ornamentation. It was used externally and internally medicinally. All Californians knew about oil. Fray Crespi reported La Brea pit seepages in 1769. In Pennsylvania there were also oil seepages. Their product was "rock oil," commanding high prices for medicinal use. In 1859, Drake's Well at Titusville, Pennsylvania, was successfully drilled. Its oil sold for $1.50 a gallon. The first oil boom started. The market for oil for medicinal use was limited and quickly saturated. Then chemists found a new use for the product as an illuminant. Profit was now balanced upon a see-saw of supply and demand. A highly speculative new industry came into being, alternately booming and collapsing, never monotonous, sometimes so profitable that it gobbled up the lion's share of speculative publicity. At first, the whole idea seemed indigenous to Pennsylvania. Even casual readers of California history encounter the story of Andres Pico distilling illuminating oil at San Fernando Mission (then his home) in 1855. The story may well be true. [Or maybe not; see here — Ed.] Possibly a new name should be added to that small mid-century group who sponsored an idea of a new industry in California. In 1855, trained doctors of medicine were scarce. Medicine was one of very few science majors. Its graduates were doctors, surgeons, pharmacists, and chemists, all in one package. Dr. Vincent Gelcich. Click image for his life history. Dr. Vincent Gelcich had been born in 1829 . 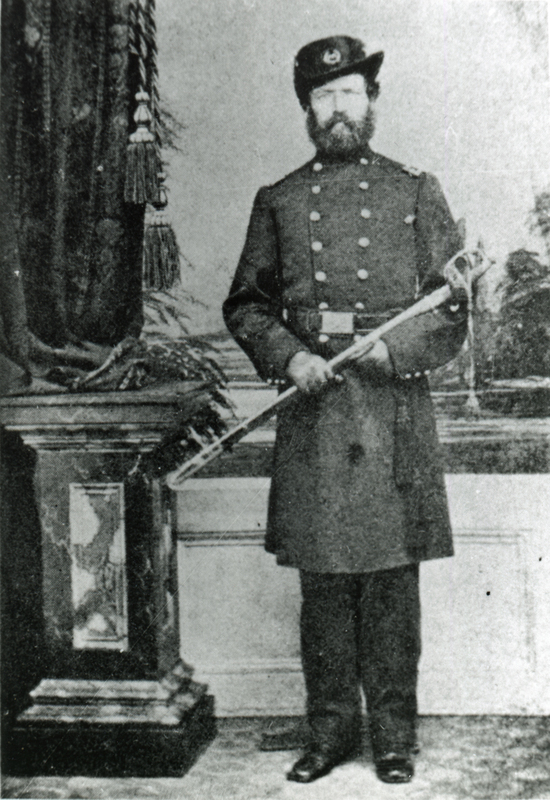 He became an army contract surgeon and may have had a Pennsylvania assignment before coming west. He knew something about oil. If oil was distilled at San Fernando Mission, it would have been distilled by Gelcich. Mrs. Gelcich was a daughter of General Andres Pico. (She was his niece, and the couple wed in 1863 — Ed. )[c] Why would they not be visiting at the Mission? Someone knew something about oil even in the early Sixties when the first claims were filed. Who filed? Gelcich's father-in-law [sic], Andres Pico, for one; H.C. Wiley, husband of Mrs. Gelcich's sister, for another; and, of course, Gelcich filed. Other filings were those of Christopher Leaming, recorder of the San Fernando Petroleum Mining District; Sanford Lyon, both intimate friends of Gelcich; Beale and Baker (catch E.F. Beale being left out of anything anywhere) and a man named Rice. Their filings covered adjacent canyons in the Pico hills which still bear their respective names. Who had the faith in the basic idea? Well, Dr. Gelcich shortly bought the claims of Rice and Leaming. Folks probably considered Dr. Gelcich slightly "touched." If you had to have oil (but why should you? ), the accepted technique was to skim one of the many seepages in the hills. Sanford Lyon was one of the locals who did just that, in spare moments. The Lyon ranch was primarily a sheep ranch, at the foot of the Pico hills. In idle times — and there were such — Lyon mined, placered, ran stock, or skimmed or dug oil for the quick cash San Francisco market. In 1864, Benjamin Silliman, Jr., chemistry professor at Yale University, examined the Sulphur Mountain seepages near the Ojai and reported too optimistically on the "rivers of oil" there to Thomas Scott who had already made one oil fortune in the Pennsylvania oil fields. With visions of another oil fortune, the next year Scott sent his nephew, Thomas R. Bard, westward to investigate and carry out grandiose plans of a prospective oil empire by acquisition of California land grants then on the market. Those plans, however, affected neither Pico nor Newhall, excepting Scott's futile attempt to move the boundaries of Rancho San Francisco and thereby acquire the Pico hills. [d] That has been fully detailed elsewhere. I first visited the springs of Mssrs. Poci, Beale and Baker, situated in a northeasterly direction from the San Fernando mountains, 12 miles distant. There are ten springs, or rather holes in the shale rock into which the oil and water is continually running from little seams and crevices in the side of the mountain. Mr. S. Lyon is busy dipping the oil from the holes ... the process of removing oil from water is to put them into an ordinary barrel with a tap in the bottom. In six or eight hours, the water is all at the bottom, and the spigot is opened permitting the water to run out. Result, 8 or 12 barrels of No. 1 green oil in a week. The reader now knows the oil business from production through refining — as of that year. As usual, "getting rich quick" turned out to be a slow and painful process. Not until 1870 were there any particularly encouraging results in the attempts to develop oil. In that year, Sanford Lyon, working with a spring pole rig, punched down a hole at the head of Pico Canyon and got oil. As that well is accepted by both Standard Oil and Union Oil biographers as the first successful attempt to make an oil well, it may be assumed to be a factual statement. Actually, the gallonage results weren't much ahead of those obtained by skimming seepages. D.G. Scofield was a graduate of the Pennsylvania oil boom. In 1870 he came to San Francisco and joined F.B. Taylor & Co., lubricating, lighting, and painting supplies. Tales of the southland oil fields drifted north. Scofield came to Newhall to investigate for himself. Local oilfield techniques of production were simple. Seepages were skimmed. Seepages were dug out to improve the flow. Tunnels were run under seepages. Theoretically, oil would flow to the tunnel mouth for convenient packaging — if the tunnel workers didn't blow the place up. They were all good ideas even if they didn't work. Then came the spring pole drilling. Let the late John Saunders, employed at Pico for the first decades of oil development, describe, in his own words, the spring pole rig. In 1881, I remember seeing Jack Lynch, Mike Crane, and a third man whose name I can't remember, working a spring pole rig up in the Towsley (canyon) about a quarter of a mile above the narrows, on the left side going up. They had a tripod for a derrick, and a hand windlass[e] to handle the casing. The spring pole is something like a teeter-totter horse, such as they have on the school grounds. You kick and jump off, thus letting the tools drop at the other end. It took some kick to work it. I've seen them worked by hand also, the weight equalized on the spring pole, and a man standing, working it up and down. Sanford Lyon and Louis Hanscomb drilled the first two wells at Pico with a spring pole. The spring pole method of drilling comes from China where it was used hundreds of years ago. One of those wells, drilled in 1870, is supposed to have been at the same location as the C.S.O. Well No. 4, of 1875. Lyon is credited with a ten-barrel well in 1870. By 1866, the California oil boom — the promotion — was out of hand. Booms are always paid for by innocent stock investors. This boom was no exception, Booms are always followed by busts. This one was no exception. After the Civil War, kerosene from the East fell to fifty-seven cents a gallon, F.O.B. San Francisco. So far, no one had produced it at that price locally. About this time, D.G. Scofield seemed to be about the only person still optimistic over oil in Pico. In 1873, the Port of Wilmington exported ninety-seven barrels of crude oil. The industry still had far to go. Back in Venango, Pennsylvania, Scofield had known C.A. Mentry, who had started in oil at Oil Creek, grown with the industry and become a successful drilling contractor. Scofield's optimism was contagious and Mentry came to California in 1873. Mentry first drilled a 470-foot duster in Grapevine Canyon for the Los Angeles Oil Company. He then leased the Baker and Beale "Pico" claim and springpoled a hole to about seventy-five feet which made about five barrels per day. This was encouraging. The Mentry lease plus the claims of Pico, Wiley, Gelcich, Leaming, and Lyon — about twenty-five acres — was taken over by Scofield as a nucleus of his California Star Oil Works Company. "Uncle Alec," as Mentry was known, directed the development of the Newhall field during its first quarter of a century. In 1875, three spring pole wells were drilled by the C.S.O. C.S.O. No. 1 produced ten barrels of oil at 120 feet. C.S.O. No. 2 was good for thirteen barrels at 140 feet. C.S.O. No. 3 produced eight barrels at 145 feet but depleted the production of Numbers 1 and 2. In 1876, the first well drilled with steam, the justly famous C.S.O. No. 4, pumped twenty-five barrels at 370 feet. The following year, No. 4 was deepened to 560 feet, which brought a flow of seventy barrels. That was the year when the price of oil slumped. William E. Youle. Image from his published memoirs, "Sixty-Three Years in the Oil Fields" (circa 1926). Click image for more. I arrived in California in 1876, and found that Scofield had interested his firm, F.B. Taylor and Company, ex-Mayor Bryant of San Francisco, and others to organize the California Star Oil Works Company. They had secured the services of C.A. Mentry ... They had erected a light drilling rig, close to the shallow wells of previous prospectors in Pico Canyon ... and drilled to 300 feet. They had penetrated 100 feet of oil bearing sand ... The well was tested ... showing a capacity of about thirty barrels. This was as far as the operations had proceeded when I reached the coast, together with J.A. Scott, a refiner of Titusville, Pennsylvania, to whom Scofield had written of his California developments. Scofield had been down to Newhall and Pico Canyon just before writing to me, and had examined what little work had been done there by Colonel Baker, Denker and their associates. They had sunk a little shaft and driven a tunnel or two right into the outcropping oil sand; they had erected a three-pole derrick and used a car axle with a piece of steel welded in the bottom, and an eye in the top for a rope. The motive power was two men, teetering on a spring pole, allowing the bit to hit the rock. They went ninety feet deep and obtained a production of five or six barrels a day. These activities had apparently convinced Scofield that a productive oil field could be proven in the Pico hills. The first shipment of oil from the Star Oil Works, which is located in the San Fernando Mountains, near the tunnel of the Southern Pacific Railroad, about twenty miles this side of Los Angeles, arrived in the city yesterday! It consisted of fifty barrels, and is pronounced by competent judges to be equal to, if not superior to, the petroleum of Pennsylvania. Other quantities are on the way. As soon as the railroad is build and additional facilities for transportation afforded thereby, over 500 barrels can be shipped weekly. The wells commenced to flow about three or four months since and were at once bought up by enterprising parties. A company formed, which was duly and regularly incorporated under the laws of the state, of which Hon. A.J. Bryant is president, and Mark L. McDonald, of San Francisco, and Messrs. Denton and Scott, of Los Angeles, are trustees. The extension of the San Fernando range, west of the tunnel and south of the Santa Clara is the probable oil region of Los Angeles County. 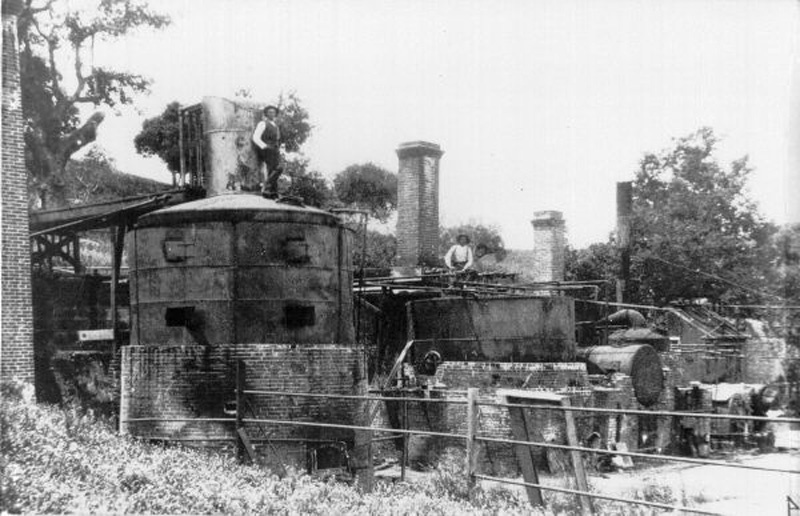 As yet, it is comparatively unexplored, but few attempts have been made by sinking wells to obtain oil, but some of the trials that have been made have been successful and encourage the hope that in the near future when railroad facilities will enable capitalists to inspect for themselves, the whole of that region will be properly prospected for oil. Among those who have been successful, the most notable is the Star Oil Company, which had, at the time the writer visited its works, three wells, two of which are pumped and the third flows. the [sic] yield, at that time, from the three wells was from twenty-five to thirty barrels of crude oil per day. The wells are situated in the Pico Canyon, at a point called Pico Springs, the flowing well being located in close proximity to the spring. The distance from the wells to the station is about seven miles, perhaps eight miles, on a heavy down grade, of which fact the company will avail itself to pipe the crude oil to the station, where refining works will be erected. AT the time of the writer's visit, about a mile of pipeline was ordered, with a view to save transportation and to deliver it to wagons at points easily accessible. According to the information derived from the foreman of the company, the wells varied from 130 to 150 feet in depth. Nearby was a well, the property of Mr. Robert (Sanford) Lyon, said to yield, by pumping, ten barrels of oil per day, and having a depth of 175 feet. These wells conjointly will yield an average of forty barrels per day, which would make, when purified, some fifteen barrels of fine burning fluid of an incombustible character, besides a large quantity of lubricating oil of such quality as to justify the S.P.R.R. to prefer it to any other. The present location of the refinery of the Star Oil Company is at Lyons Station. The refinery was moved the following year[h] to the nearby Railroad Canyon, the move making possible location on a railroad spur for trackage and loading facilities. As evidenced by the following advertisement appearing in the Los Angeles Express on March 16, 1877, oil was becoming a business. Why consumers should use the kerosene oil manufactured by the California Star Oil Works Company. First, to patronize home manufacturers; Second, it has no equal; Third, it is entirely safe and will not explode. It is put in first class packages and will not leak; it gives a light equal to gas. Hereafter there will be no delay in filling orders promptly. and they will receive prompt attention. Perkins writes: "The first successful commercial oil refinery erected in California was located in Newhall." The two larger stills remain; as of 2013 they're located on property off of Pine Street that Chevron USA (aka Standard Oil) donated to the city of Santa Clarita. Click image for more. By 1879, the camp was producing oil. However, that was before the day of internal combustion engines. As an illuminant, the California oil, in the words of many users, "just plainly stunk." Several years would elapse before that problem would be licked. The refinery was working. A two-inch pipe line, first ever laid for transport of oil, ran from Pico to Newhall. From the refinery, the oil was loaded in the "tank cars" of the day — an ordinary box car, with a square steel tank, capacity about sixty barrels, set at each end of the car and painted a violent [cq] blue. I returned to Pico Canyon in May, 1877, to undertake a fishing job on a well started by R.C. McPherson for the San Francisco Oil Company. The well might be called a wildcat, as it was some considerable distance away from the Pico Canyon producing wells ... it proved to be a dry hole and the location was abandoned. Due to this failure on the McPherson well, ex-Mayor Bryant and others withdrew from Pico, leaving Scott the responsibility there. From which it may be inferred that Scofield's backers backed out. Scofield realized that his "Star" Company was under-capitalized. In 1879, he succeeded in interesting Senator C.N. Felton and associates in oil. In September the group incorporated the Pacific Coast Oil Company, and absorbed the California Star Oil Works Company, the San Francisco Oil Company, the Santa Clara Oil Company, and other smaller Pico operators. Senator Felton was president, Scofield was auditor, Lloyd Tevis, then president of San Francisco's Wells-Fargo Bank, was in the new set-up. The machine shop was built in Pico. Then any machine parts were made on the job. Anything could be made by those old-time machinists, and frequently was. Close to the shop was the loading dock, novel because of the heavy iron devices of all shapes, sizes and descriptions, flowing over its edges. There were weirdly shaped "fishing tools," developed the problem of a moment when 500-feet was a deep hole, and six-inch casing was gargantuan. There were spears and wrenches painstakingly made for equipment and operations gone, but not regretted. In those days drillers "guessed" their wells down, inventing implements and tools as emergencies arose — which they always did. "Spring poles" were followed by "cable tools," powered with seam. Oil field men were in short supply. Mentry and Youle tried to train local unskilled help. Pennsylvania had a monopoly of skilled oil field labor. Scofield brought out some twenty or thirty oil men from the East. There weren't available houses in Newhall so the Pacific Coast Oil Company built a few small homes convenient to the oil field. It was known as "Pico." It was also known as "Mentryville." Everybody called it Pico and it was connected with Newhall by stage line which brought in housewives' supplies daily. Besides the railroad, the refinery, the post office and stores were all in Newhall. Pico was purely a "company" town. Joe Leighton was one of the earliest stage drivers. He lived on his ranch in Pico Canyon about a mile below the settlement. Being a company town, Pico was very dry, liquor prohibited. Rumor was that Leighton maintained what might be called a first aid station conveniently close to the camp borders. Late in 1882, Lyman Stewart and his oldest son, Will, came to Newhall/Pico. Steward had been a school mate of Scofield in Oil City and also a friend of Youle, Mentry and Scott. He sub-leased land from the P.C.O. and contacted his Pennsylvania partner, Wallace Hardison, who came out in 1883 with a couple of the heavy eastern rigs — very much up to that date. Stewart and Hardison had some $70,000 in equipment, $65,000 in cash, experience and definitely "know how." Stewart was almost fanatically religious. In no time at all, their lease was known as "Christian Hill." Despite this, or maybe because of it, they lost their tools at 1,850 feet, with no showings. They drilled No. 2 to 1,050, and lost their tools. Their bad luck continued through three years and five dry holes. Their sixth attempt finally made a well which they had to sell to get capital to move to Santa Paula where they joined with T.R. Bard, and the Union Oil Company of Califronia was born. Pico itself died about 1922. Under the superintendency of Alec Mentry, which incidentally was the entire life span of the P.C.O., apparently seventy wells were drilled from the Pico or the Newhall office. In or about 1880, the P.C.O. had built their [sic] warehouse and office on the square in old Newhall. The state records show seventy-nine wells drilled from Pico by the Standard Oil Company (this includes both the C.S.O.W. and the P.C.O. wells), while in the Newhall area, the total listed is 233. This record comes forward only to 1932. The many major fields since 1938 are not reflected here. The biggest production years were 1930, 187,600 barrels (the tunnel field had just come in); and 1910, with 160,428 barrels. When Scofield engineered the Standard Oil Company of California, centered upon the P.C.O. holdings, at the turn of the century, Mentry included his personally owned Placeritas Ranch and retired. His position was taken over by a senior employee, Walton Young. 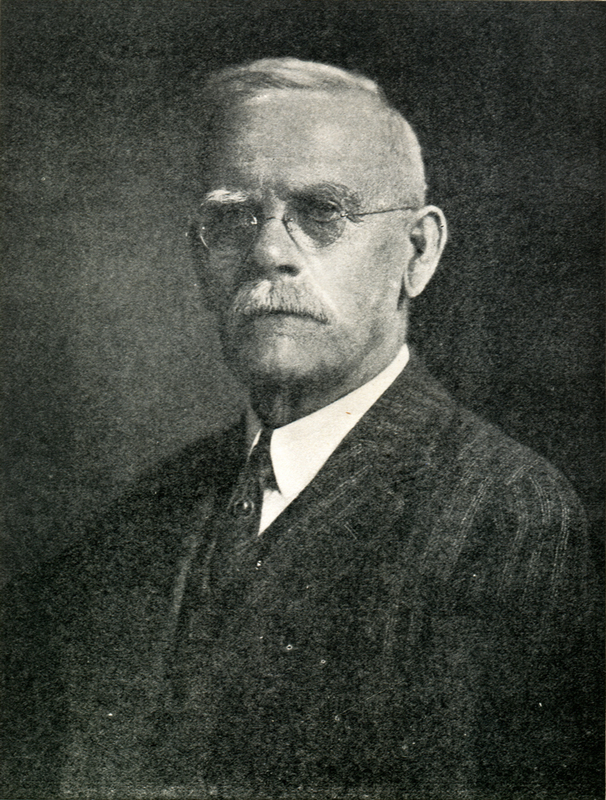 Young, in turn, remained in the superintendency until the "big layoff" of about 1922. At that later date, some of the Pico cottages were brought down to Newhall. Thereafter there was only a skeleton force at Pico. 14. "Sixty Years in California" by Harris Newmark (Houghton Mifflin, 1930). Also see "Los Angeles in the Sunny Seventies" by Ludwig Salvator. While the inaccuracies are slightly appalling, it could be interesting. Gelcich was apparently Salvator's closest friend in Los Angeles. A letter from Dr. Gelcich appears in the Wilmington Journal, Feb. 19, 1866. Gelcich was on duty at Ft. Tejon at the time of earthquake. His pharmacy was in one end of the adobe, and the family lived in the other end, but all escaped without injury although the roof and walls fell in. 15. "Black Bonanza" by Taylor and Welty (McGraw-Hill Book Co., New York, 1950) p. 34. 16. Los Angeles Semi-Weekly News, June 1, 1866. 17. Black Bonanza (see note 15) p. 38. 18. "Standard Oil Company of California" by Douglas G. McPhee — a reprint from articles in California Oil World. P. 5 is about as good an introduction to Scofield as any other. 19. Informant was the late John Saunders, a Newhall pioneer. 20. Division of Oil and Gas, December 1934, California Oil Fields, p. 12. 21. "Sixty-Three Years in the Oil Fields" by W.E. Youle (Fuller Printing Co.). 22. Ventura Signal, June 24, 1876. 23. Alta California, July 22, 1876. 24. "Progress and Advantages of Los Angeles City and County" (Mirror Printing Company, Los Angeles, July 1876, Chap. 18). 25. "Black Bonanza" (see note 15). 26. Records of the Los Angeles County Board of Education. 27. As in note 20.
b. When this was written in 1958, a Mr. & Mrs. Peoples lived in the Standard Oil Company-owned "big house," aka Pico cottage, a 13-room mansion that still stands. Source: Darryl Manzer, who lived in the house as a teenager from 1960-66 (pers. comm. 2013). c. In 1863, while living at San Francisco, Gelcich married María Petra Celestina Pico y Bernal, a niece of Andres Pico (and of his brother, former Gov. Pio Pico). Known as Petra, she was daughter to Antonio Maria Pico, onetime alcalde (mayor) of San Jose. Gelcich certainly was involved with Andres Pico in the oil business at a later date, but the idea that the two were associated as early as 1855 based on Gelcich's 1863 marriage seems speculative. d. Rancho San Francisco was the Mexican land-grant rancho that encompassed much of the Santa Clarita Valley. The Pico hills comprised a sliver of no-man's-land between the Rancho San Francisco to the north and Rancho San Fernando to the south. f. Note that Baldwin's report was published in July 1876. The "first station beyond the tunnel" that was operational in July 1876 was Andrew's Station, and it was a stagecoach station. The tunnel was just being completed, and it was August before the first SPRR locomotive came through it. The Newhall depot opened in September — at Bouquet Junction. A year and a half later, in early 1878, the depot (and the rest of the town) moved two miles south to present-day downtown Newhall. As for a spur line to Ventura, that happened in 1887 — from a new depot at Newhall's original Saugus location. g. Again, this was written in July 1876. The refinery was moved from Lyon's Station to the aforementioned Andrew's Station in Railroad Canyon — Pine Street — in August. h. It is appropriate at this point to acknowledge longstanding discrepancies in the date of the move. In "Formative Years of the Far West" (1962), which publication was funded by the Standard Oil Co. of California, White is discussing events of 1877 when he says construction of the new refinery, "carefully supervised by J.A. Scott, began in May and took about three months" (pg. 46). Youle, referenced in Perkins' text above, said he came to California in 1876 with J.A. Scott, and that the latter "at once busied himself putting up a small still at Newhall..." The Los Angeles Evening Express of July 31, 1876, as cited in Ripley (1948: Part 14), indicates the move was imminent as of that date: "(A)s the company are [sic] about to remove the present (refinery) ... the enterprise (at Lyon's Station) for the present is abandoned." Aug. 1, 1876, is sometimes given as the effective date of the move of the two stills from Lyon's Station to Andrews; there is little question that two new, larger stills were added at Andrew's between 1877 and 1879. According to the American Society of Mechanical Engineers' 1975 history of the "Pioneer Oil Refinery" at Andrew's station: "The refinery was completed in August 1876." i. They do. See "The Black Bonanza: The Fabulous Life and Times of the Union Oil Company of California" by Early M. Welty and Frank J. Taylor (New York: McGraw-Hill 1950). Or visit the Union Oil Museum in Santa Paula. j. Most sources give a closing year of 1888.
k. Meaning the Newhall School District.